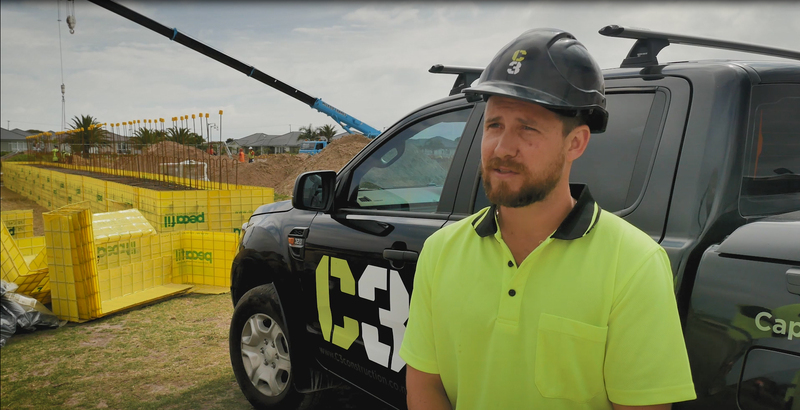 From innovation and development to manufacture, Max Frank’s Pecafil Stay-In-Place Formwork system speeds up construction, improves build quality, reduces the need for skilled labour and saves you money. Pecafil Installation is available exclusively at Fletcher Reinforcing. The specially manufactured material is constructed from a steel mesh in a wide range of sheet and strip sizes and shaped to meet the application. Its distinctive yellow outer layer is heat-shrunk puncture resistant polyethylene, made from non-toxic, naturally occurring hydrocarbons. Light enough for one person to handle with ease. Enquire today for installation of Max Frank’s Pecafil Stay-In-Place Formwork system. Enquire on our website or visit one of our New Zealand Fletcher Reinforcing branches in both the North and South Island.